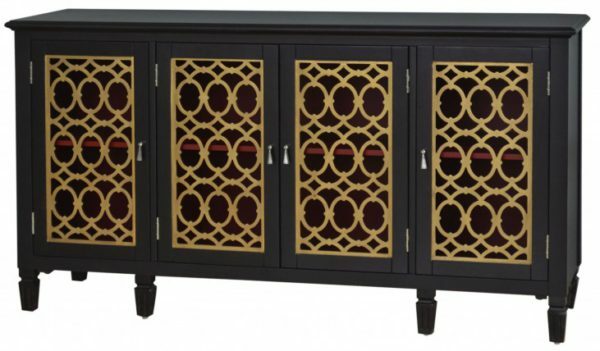 This leg console offers plenty of storage for a dining area foyer or hall. The four-mirrored doors feature intricately designed fretwork grilles in a gold leaf finish. Open any of the doors to expose the accent red interior and adjustable shelving. Elongated turned feet lift the console off the floor.